Skyrim Cosplay - Novice Mage Costume - Elder Scrolls, Skyrim, fantasy, mage robe, LARP, medieval clothing - Unisex! SALE! 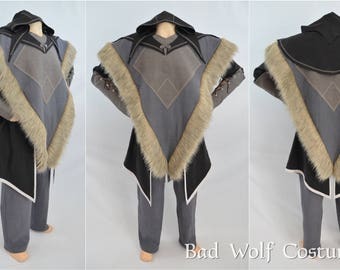 Men's Skyrim Cosplay - Size L - Novice Mage Costume - Elder Scrolls, Skyrim, fantasy, LARP, medieval clothing - Ready to ship! Skyrim Cosplay - Apprentice Mage Costume - Elder Scrolls, Skyrim, fantasy, mage robe, LARP, medieval clothing - Unisex! Skyrim Cosplay - Adept Mage Costume - Elder Scrolls, Skyrim, fantasy, mage robe, LARP, medieval clothing - Unisex! SALE! 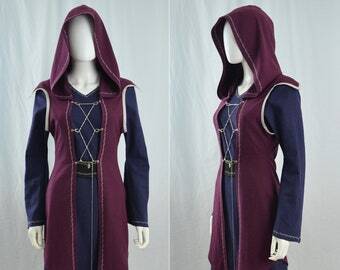 Women's Skyrim Cosplay - Size XS - S - Adept Mage Costume - Elder Scrolls, Skyrim, fantasy, LARP, medieval clothing - Ready to ship! Skyrim Cosplay - Mage Costume - Elder Scrolls, Skyrim, fantasy, mage robe, LARP, medieval clothing - Unisex! 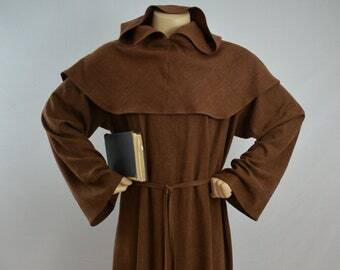 Medieval Monk Costume - Renaissance - Robe and Hood - Friar Tuck, Grim Reaper, priest, cosplay - color options! SALE! 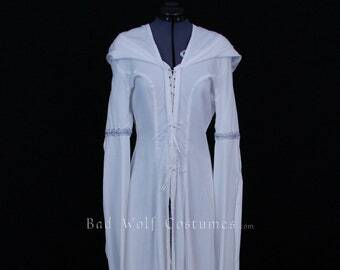 Elven Dress Fantasy Gown - Size XS - S - Medieval, elf, fairy, queen, cosplay, costume, LARP - Ready to ship! 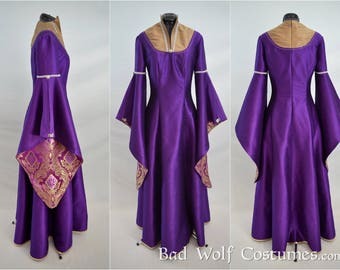 Renaissance Medieval Dress Gown - fantasy, princess, costume, cosplay, LARP - color options! 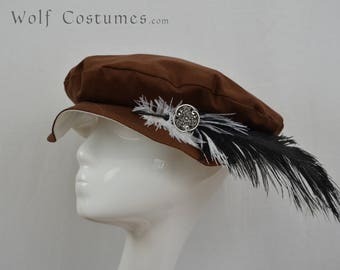 Renaissance Hat - customizable - medieval, fantasy, costume, cosplay, LARP - color options! Robin Hood, Peter Pan Hat - customizable - Renaissance, medieval, fantasy, costume, cosplay, LARP - color options! 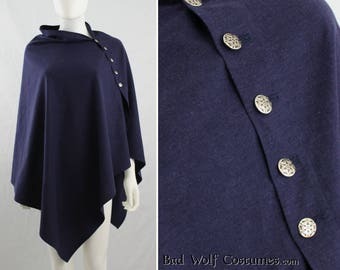 Wool Fantasy Hood - Medieval, Renaissance, elven, archer, ranger, huntsman, costume, cosplay, LARP - color options! Super fast shipping! Can't wait to get started on this. Thank you! Some of our color options! Check out the detail! We love this embroidery pattern. 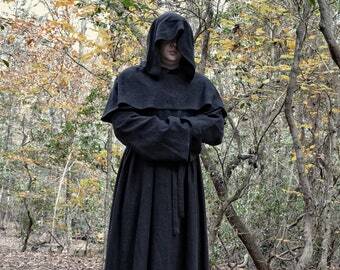 Elegant Fleece Cloak 2 in black - a great choice for fall and winter weather! Our costume-filled wedding in 2012! 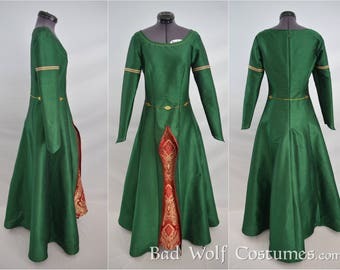 Bad Wolf Costumes is run by husband-and-wife team Alex and Kate, who were first drawn together by their shared love of costuming. Now we want to help make your dreams come true as well! Costumes, accessories, and sewing patterns - making fantasy a reality! We accept PayPal and credit/debit. No Etsy account necessary! Every item pictured in our shop is (and has been) made by us in a pet-free, smoke-free environment! 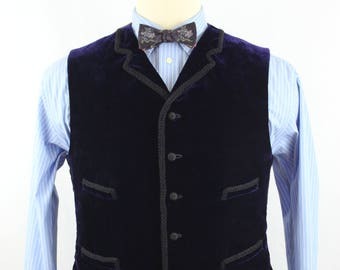 As with all handmade, made-to-order garments, there may be tiny variations from the photos. Fabric colors may vary some from their appearance on your computer screen. 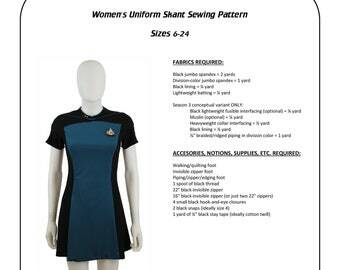 Are you going to sell sewing patterns for the Star Trek women’s uniforms? Yes! Subscribe to our "Costume Guide" e-mail newsletter to be the first to hear about our upcoming ladies' patterns and more! Do you take commissions for Star Trek uniforms made from your patterns? No. If you don't sew and/or aren't interested in making your own uniforms, we recommend bringing our patterns and tutorials to a local tailor/costumer/seamstress to make one for you. Do you have any of [insert costume here] in stock? No; all our costumes are made-to-order, except those in our "sale/clearance" category. If you need something soon, let us know, and we might be able to do a rush order for you! Do you sell a sewing pattern for every costume in your shop? No; all of the patterns we currently offer can be found in our Sewing Patterns section. Do you make plus-size costumes? 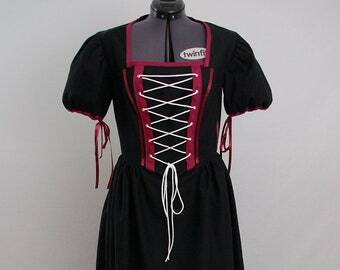 Most of our custom costumes can be made up to a size 24/3X/3XL (US sizing). 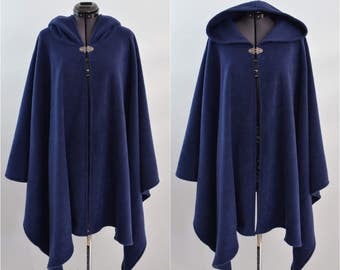 Some cloaks can be made up to 32/4X/4XL. What are the differences in your Versatile Fantasy Cape listings? We have three styles - original, style 2, and hooded. The first two styles do not have hoods. Style 2 is narrower in the chest and has a smaller neck opening than the original. All are available in linen-look or faux suede. 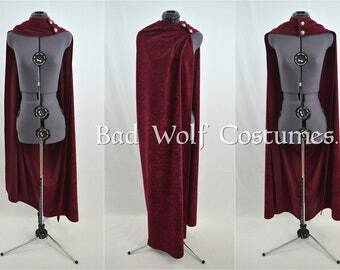 Style 2 is also available with embroidery ("Versatile Fantasy Cape of the Dragon") or in fleece with or without a hood.